The Viking Language Series is an innovative method for learning Old Norse, Viking runes, Icelandic sagas, Eddic and Skaldic poetry, and the culture of the Viking World. The course is designed by Jesse Byock, Professor of Old Norse, Medieval Scandinavian Studies, and Viking Archaeology, University of California Los Angeles (UCLA). Viking Language 1 offers everything necessary to tackle Old Norse, the sagas, and runes. The 15 lessons include vocabulary and grammar, 35 readings, pronunciation, 15 maps, 45 illustrations, and 180 exercises. 384 page textbook, $34.95. Buy now. Viking Language 2, The Old Norse Reader, accompanies the first book. It provides a wide range of readings from family, kings and legendary sagas, as well as eddic and skaldic poetry. It includes a reference grammar and an extended vocabulary. The reader is ca. 250 pages and will be available soon. Please notify me by e-mail. Viking Language 1 Answer Key & Reference Grammar contains two important tools to help learn Old Norse: an Answer Key to the exercises in Viking Language 1 and a comprehensive Old Norse Reference Grammar. 80 pages for under $10. Available soon. Viking Language 1 Audio Recordings are sound files of the Old Norse readings Viking Language 1, They offer a standardized Icelandic pronunciation.Lessons 1~10 will be available for download soon. Listen to samples. 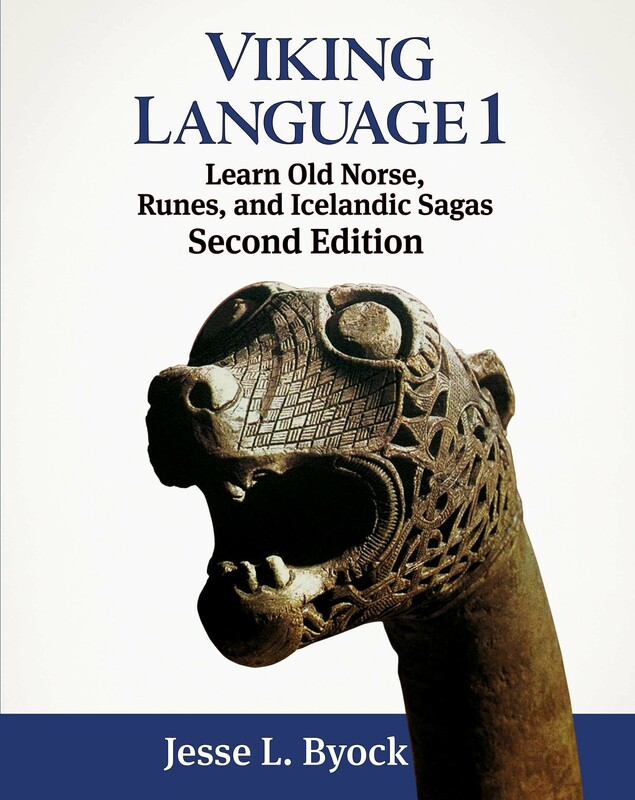 Viking Language 1: Learn Old Norse, Runes, and Icelandic Sagas is an introduction to the language of the Vikings offering in one book graded lessons, vocabulary, grammar exercises, pronunciation, student guides, and maps. It explains Old Icelandic literature, Viking history, and mythology. Readings include runestones, legends, and sagas. Viking Language 1 focuses on the most frequently occurring words in the sagas, an innovative method which speeds learning. Because the grammar has changed little from Old Norse, the learner is well on the way to mastering Modern Icelandic. It provides a wealth of information about Iceland, where the sagas were written and Old Scandinavian history and mythology were preserved. 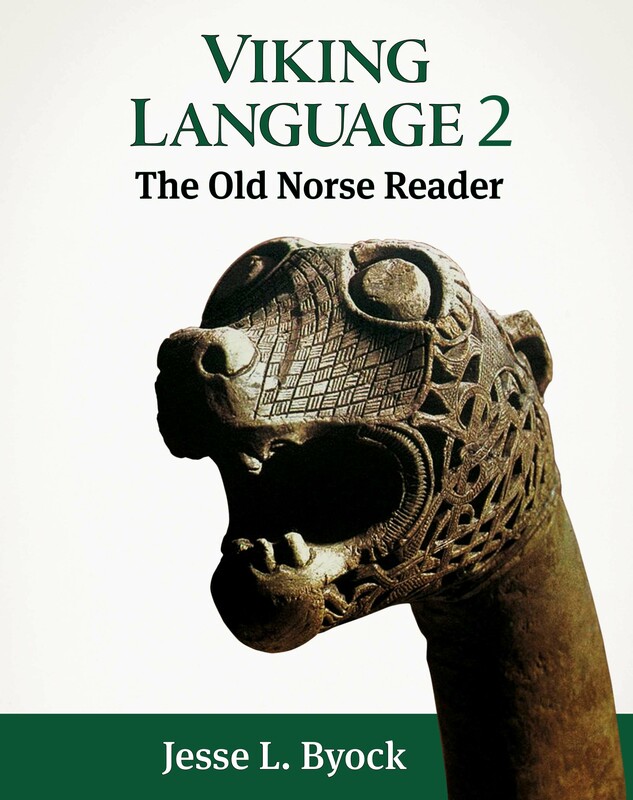 Viking Language 1 is accompanied by Viking Language 2: The Old Norse Reader. • Sagas of blood feud in Viking Age Iceland accompanied by introductions, notes, maps, and cultural discussions. • Extensive vocabulary, a comprehensive Old Norse reference grammar and answer key to the exercises in Viking Language 1. • Mythic and heroic poetry teaching eddic, skaldic, and runic verse. • Selections from Old Norse texts ranging from the doom of the gods at the final battle Ragnarok to descriptions of the ring and the dwarves’ gold that inspired Wagner’s Ring Cycle and J.R.R. Tolkien’s Lord of the Rings.